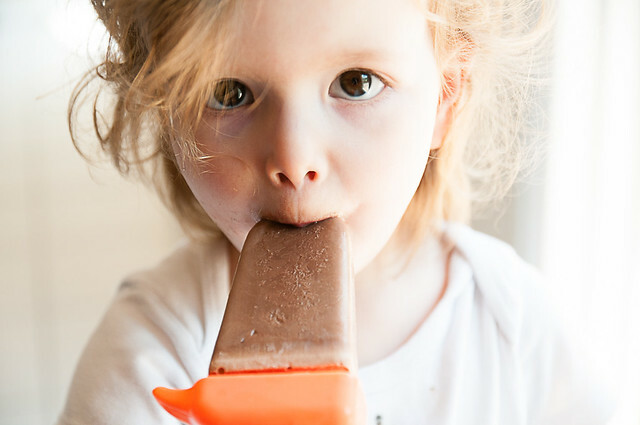 Do you remember being a kid, and going to the ice cream cart (or corner store/camp store) and looking over the enticing array of popsicles in the freezer? 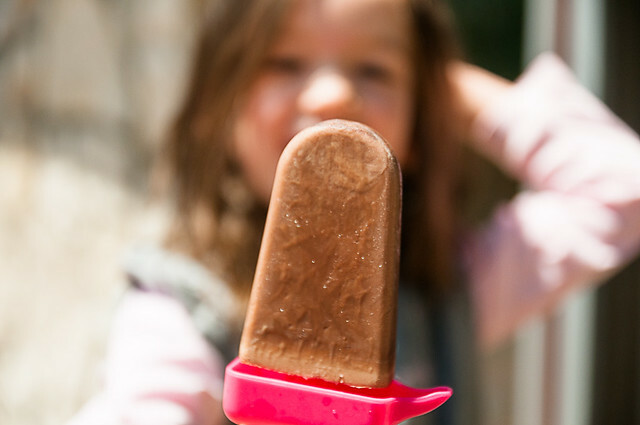 I remember them all - from the tart and tangy rocket, to the rich (and oh-so-expensive) drumstick....but my favourite was pretty much always the fudgesicle. It was chocolatey and cold and just....perfection. There was truly nothing better on a hot summer day, especially after an afternoon spent at the beach, biking or playing in the sun. I can only hope to foster those warm and fun kinds of memories in my kids too. We just had a near-idyllic long weekend. And it was perfect in that we really didn't do much of anything - the kids played, the weather held up wonderfully...there was a lot of sand and sidewalk chalk and BBQ food, eaten al fresco. In short....perfect. I came across this recipe last year (from a site that is now defunct, which is a TRAGEDY), and I'm telling you, if you don't have a popsicle mold, NOW is the time to get one. This is not the homemade popsicle of your memories (i.e., a frozen solid block of juice). THIS, friends, is pretty much like a fudgesicle. It's rich and creamy and chocolatey and delicious. 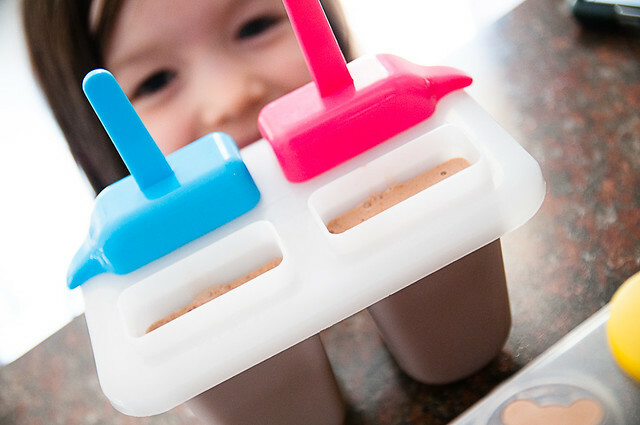 Any popsicle mold will do - I have a snazzier one (pictured) that makes larger popsicles and has a little trough to help you sip up the melted bits. I also have a cheaper one that makes rocket-shaped pops and is actually way better sized for kids (these ones are a little too big and result in colossal mess of melted chocolate stickyness). I love just how simple this is, and the results are so TOTALLY worth it. 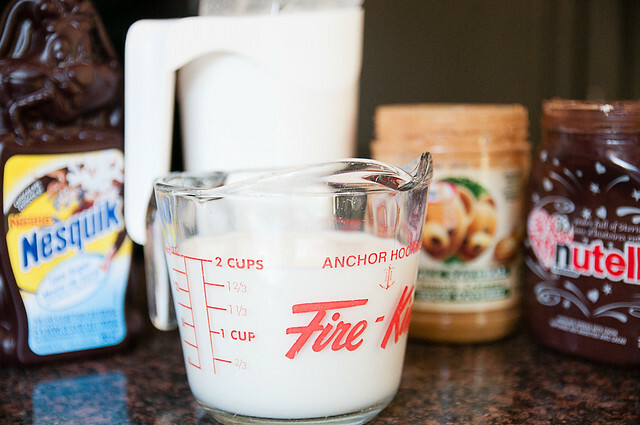 All you need is nutella and milk. I usually only buy nutella to use in recipes, so when I checked (because I'm a super pro-star at advance prep), I was actually a bit short of nutella (I was making a double batch). I just added some natural peanut butter and chocolate syrup to make up the correct amount. This isn't health food - it's pure summer fun. So what I photographed and what I'm telling you to make are not exactly the same thing this time, because of the aforementioned peanut butter and chocolate syrup substitution. But I will say, this sub totally worked and the peanut butter/chocolate/nutella combo was just as good as the pure nutella version. One caveat - the longer you leave these, the icier they get. They are best the first day frozen (i.e., after a few hours), because they have the BEST fudgey texture then. They are still totally good for a few days after, but I would recommend eating them sooner rather than later. Besides, once you have one, you likely will keep on going. ;) They are that good! 2. Pour into molds and freeze until frozen. 3. 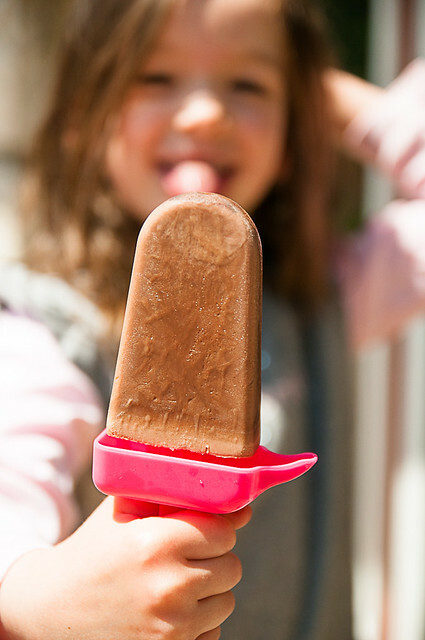 If you're reading this and are sad that you don't have popsicle molds....>GO GET SOME!!!! I have a set from the dollar store that is great! Just do it! Or use cups and coffee stirrers. 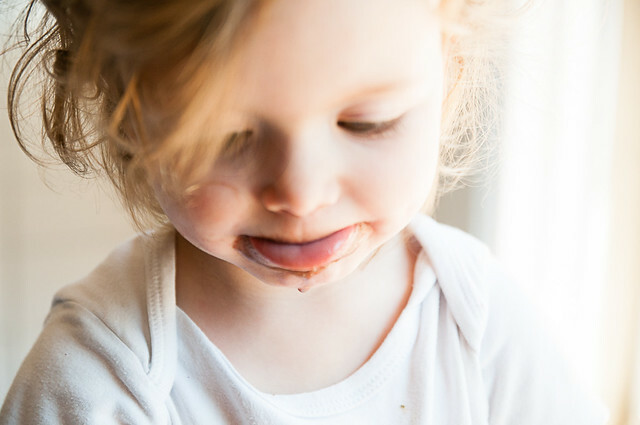 Whatever it takes to get you a nutella popsicle.....just do that. And thank me later. Hi there! I just randomly came across your blog while searching for recipes! 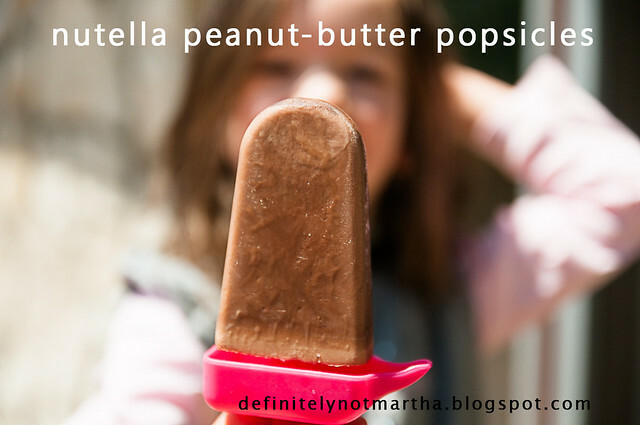 We just made some popsicles last week, but these seem much more tasty than our healthy version! Yum! what a perfect recipe for the kids! My gals would love these. I made these tonight with the kids. They were really tasty! Thanks for the idea and recipe! !